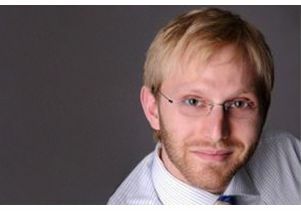 Dino Di Carlo, associate professor of bioengineering at the UCLA Henry Samueli School of Engineering and Applied Sciences, is the recipient of the 2014 Analytical Chemistry Young Innovator Award from Analytical Chemistry and the Chemical and Biological Microsystems Society. The award, which recognizes the contributions of an individual who demonstrates exceptional technical advancement and innovation in the field of micro or nanofluidics early in their career, will be presented at the 18th International Conference on Miniaturized Systems for Chemistry and Life Sciences in San Antonio, Texas this October. Di Carlo's research makes use of unique physics, microenvironment control and the potential for automation associated with miniaturized systems for applications in basic biology, medical diagnostics and cellular engineering. His work has earned him numerous awards, including the 2012 National Science Foundation Faculty Early Career Development award and the U.S. Office of Naval Research 2012 Young Investigator Award. Di Carlo earned his B.S. and Ph.D. in bioengineering from UC Berkeley. He was a postdoctoral fellow at Harvard Medical School and Massachusetts General Hospital. Learn more at the Di Carlo Laboratory.